Saturday my son decided he was going to play kickball...on concrete...barefoot. You get where I'm going with this right? He raised his foot to kick the ball and brought it back down with as much force as he could get so that he could kick the ball hard and far. He missed. I was upstairs and heard his cries loud and clear. But I didn't go to him. You see, my son can be somewhat over dramatic at times. He will turn a very small injury into a massive ordeal. So I decided to wait it out before going to him. I thought that if I gave it some time, he would likely calm down and be okay. At most, I thought he'd have a stubbed toe. A minute ticked by, then two. His cries only intensified. So I went to him. The second I saw him, I saw the pain in his face and as soon as I got to him I saw the large amounts of blood (from the toenail that jammed into his foot and will fall off) and the swelling that was already taking place. Knowing the doctor wouldn't do anything for his toe, I called my sister who is a nurse and asked her what I could do. Following her instructions, we worked to stop the bleeding, wrap the toes then elevated with ice. Later on after she saw his foot, she instructed us to go on to urgent care to check the top of the foot. Thankfully everything was good there. Four days later, he is still in pain, swollen and limping around. But he will heal with time. Later on as I was thinking of how I waited to go to him, I began to think of our Father. Sometimes it feels as if God waits before coming to our cries. We cry out to God in pain, emotional or physical, and it feels like He is holding off, waiting for our cries to stop. Not giving us the answers we long for. Not fixing the situation immediately. But the truth is, God doesn't wait. The very second we cry out to Him, He is there. As a matter of fact, He was there all along. God answers us 3 ways. Sometimes He says, "Yes my child," and gives us the relief we ask for immediately. 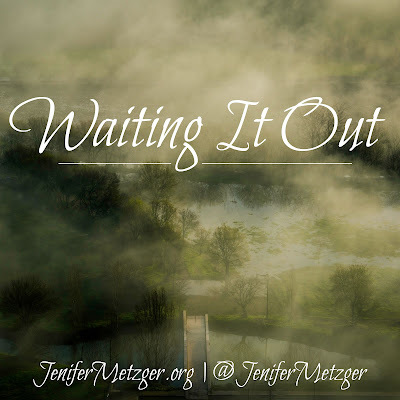 Other times, He says, "It's not time just yet sweet one, hold on," and we must keep waiting. And other times still, He says, "No dear one. I have something better for you in store. Just be patient." No matter His answer, He is there. Right next to us, holding our hand and loving us. What have you asked God for that you feel He is holding off coming to you? Remember, He is there. Just close your eyes and worship Him. Love Him and let Him love you back. When the time is right, for His perfect will, your answer and relief will come.